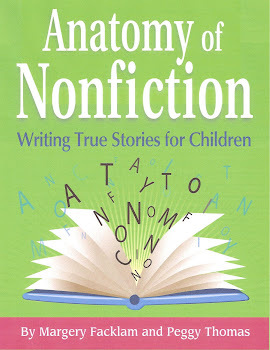 Ramblings from the mind of a writer of nonfiction for children. The other day I got a lovely plaque in the mail. 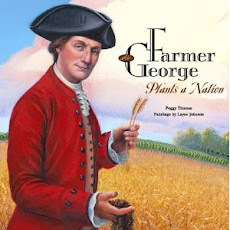 The Nebraska State Farm Bureau selected my book Farmer George Plants a Nation as one of the Best Agricultural Books for 2009. Shortly after that I received a similar honor from the Farm Bureau of Wisconsin. At first I was a bit shy sharing that news with others, after all it isn't the Sibert Award, but then I realized what an honor it really is. Literary accolades come from all sorts of unlikely places, and even the smallest award can help get your book into the hands of readers you might not reach any other way. It never occured to me that my book could be catagorized as an "agricultural" book, or that I might market it through agricultural channels. So now I'm thinking about contacting local 4-H groups and maybe someday I'll get out to Nebraska for school visits. Have you gotten an unusual award that helped you promote your book? I'd like to hear about it. I am the author of 20 books for children and young adults including -- Thomas Jefferson Grows a Nation, For the Birds: The Life of Roger Tory Peterson, Farmer George Plants A Nation(Calkins Creek),and co-author of ANATOMY OF NONFICTION, the only writer's guide for children's nonfiction. I am also an instructor for the Institute of Children's Literature and frequent speaker at schools and conferences.